This is my first posting for PHOTO FRIDAY. As soon as I saw the subject I immediately thought of this old pair of sneakers. 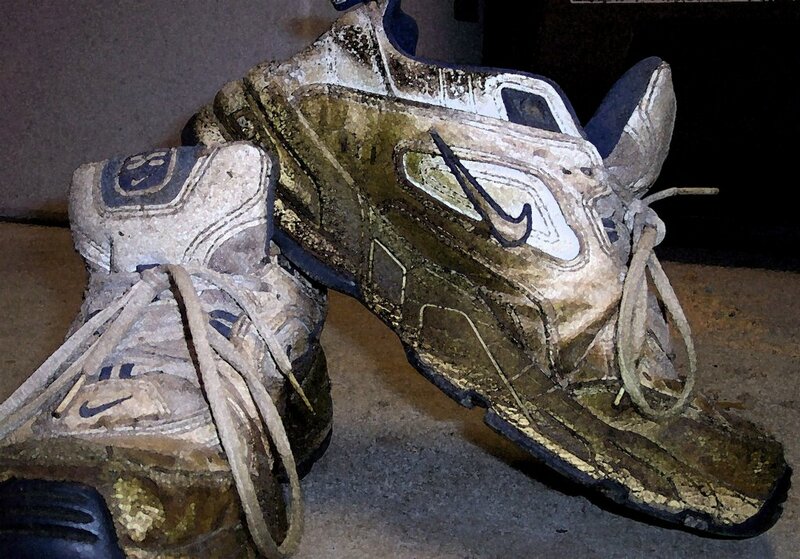 I've had them for several years and always wear them when I mow the lawn. Like an old, old friend they're worn but comfortable. Well, it's clearly obvious you have a push mower! How do you get to Photo Friday to publish some photos? Good Pic! I'm so glad you're doing Photo Fri.